In this tutorial I will show you how to create a simple retro type treatment. Even though its simple, it uses some powerful Illustrator features. If you have read my tutorials before, you know this means the Appearance panel! Along with the Appearance panel, we will be using some texture effects, Warp effects, and some simple layering. Below is the final type treatment we will be working towards. Create a new document and type out some text with the Text tool (T). I used Clarendon Bold at 48 pt. 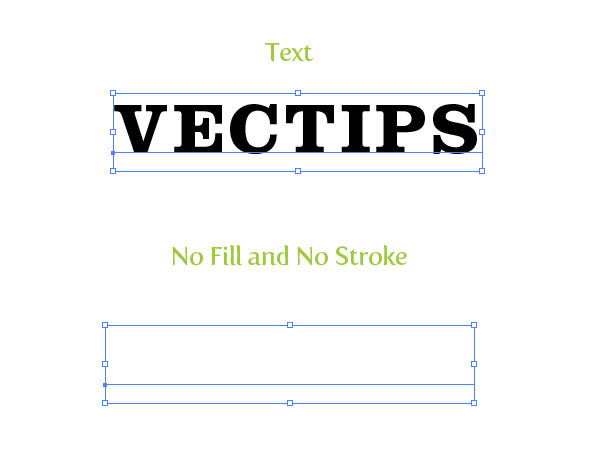 Take off any stroke and fill on the text. With the text still selected, choose Add New Fill from the pop-up menu of the Appearance panel. Fill the new fill with a reddish orange color. In the Appearance panel, press the drop-down arrow for the new fill to reveal its attributes. Press the Opacity link and change the Blending Mode to Multiply. Create another new fill in the Appearance panel, select the bottom fill item, and fill it with a light yellow color. With the light yellow fill item selected in the Appearance panel, go Effect > Distort & Transform > Transform. 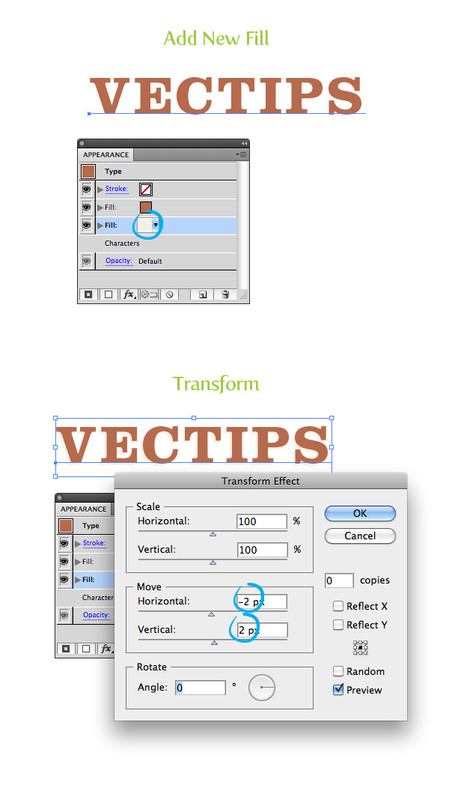 In the Transform dialog, change the Horizontal Move to -2 px and the Vertical Move to 2 px. Create another new fill, select the bottom fill item, and fill it with a light aqua color. With the aqua color fill item selected, go Effects > Convert to Shape > Rectangle. In the Rectangle dialog, select the Relative radial button, change the Extra Width value to 30 px and the Extra Height to 8 px. With the aqua fill item still selected, go Effects > Warp > Squeeze. In the Warp Options dialog, select the Horizontal radial button and change the Bend to 23. With the aqua item selected, press the Duplicate Selected Item button at the bottom of the Appearance panel. In the Appearance panel drag one of the aqua copies above the first reddish fill item. Change the fill of the top item to a light gray. With the item still selected, go Effects > Texture > Grain. In the Grain dialog, change the Intensity to 78, the Contrast to 50, and the Grain Type to Sprinkles. Change the Blending Mode of the gray fill to Multiply and change the Opacity to 38. Duplicate the grain fill item, select the top copy, and expand the attributes. Select the Grain attribute and press the trash icon at the bottom of the Appearance panel. Fill the selected item with a Diagonal Line swatch (this can be found by pressing the bottom left Swatch Libraries icon in the Swatches panel then navigating Patterns > Basic Graphics > Basic Graphics_Textures). Select the empty stroke item at the top of the Appearance panel, (if your empty stroke item is not at the top, drag it up to the top) fill the stroke with your reddish color, and change the weight to 2 pt. Change the stroke to have the same rectangle and squeeze settings as the previous fill items and set the Blending Mode to Multiply. With the stroke still selected, go Effect > Distort & Transform > Transform and in the Transform dialog, change the Horizontal Move to -4 px and the Vertical Move to -4 px. That’s pretty much it for the text treatment! I like to save it as a Graphic Style so I can apply it to other artwork. 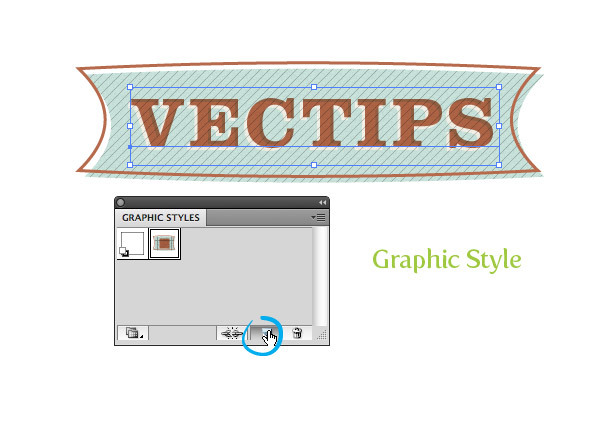 To create a Graphic Style, select the text and the press the New Graphic Style Button in the Graphic Styles panel. Now you can add the effect to other elements like in the final preview image. Again, here is the final image! Great tutorial. I am a beginner so please excuse me… Everything turned out great, but when I try to reuse it I have a brown shape in the center of everything. How do I remove that so I just have the nice aqua? Ah ok, each new fill automatically moves to the top of the list. Always name your fills and layers I guess! Coming from years of working with Inkscape, Illustrator is a bit getting used to. Just not as logical as Inkscape. 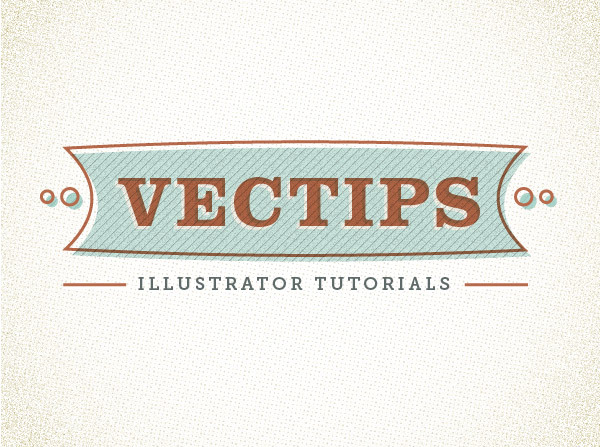 This tutorial is great to get into Illustrator. My result looks just about the same. Only difference is that my halftone and grain are a bit more rough then yours. Has this to do with the image size? Thank you!! Turned out great!! Very nice Tutorial! Thanks a lot! Well done. We linked to this tutorial in a blog piece. This is SO good. Everything is really nicely broken down, it’s so pleasant to read and the end product looks really nice and authentic. Awesome stuff! I like your illustrator tuts. when i searched for a style i found this one and very much like it. I appreciate this awesome tutorial. Thanks for this helpful tutorial. The tutorial as a whole was awesome. I got stuck on the last part of step 6. After adding the basic texture I didnt see any lines at all. Im using CS3 I noticed my appearance panel is a little different. I’m studying Graphic Design and I’m all new to this design stuff and I completed this tutorial with ease! I’m so happy! Thanks for the tutorial it really helped me! thanks for sharing! so smart methods! thanks once more! Looks simple enough doesn’t it. The final copy looks like a great retro logo – excellent tutorial and I hope to have as much success..
Maybe you should change your logo to that one? Thank-you VERY much for this tutorial. It’s great! I did the following with your tutorial. It is for a pennant design competition. Do you like it? Wonderful tutorial…though one question. When I make the light yellow shadow it appears in front of the orange text. How do I move it behind? Thanks so much! Ah! Got it! You just move the fill layers up and down to create their order! Thanks again. Had fun doing this! Thank you for this great tutorial. I´ve learnt and enjoyed a lot. Hey! I’m stuck on step 6, “Duplicate the grain fill item, select the top copy, and expand the attributes.” How do you expand just the grain? Every time I expand, it expands the whole thing. someday soon, i want to be able to do this too! i just downloaded a tutorial version of illustrator. love your tutorials! Appearance tool is so great, it allow us to create a styling text, and it still editable. how did you make the background? great tutorial, thank you…but once i create the rectangle i lose the lighter offset type created in step 3…what am i doing wrong? where i can get that background image at final image? Can you make a video tutorial of this? Please. Being a beginner, It really took me sometime to figure out the flow of work, but once I got it right, I got it going. I also knew use of patterns, creating graphic styles and some warp things for robust graphic works. Thanks for this. This tutorial was incredibly useful and really easy to follow! thanks you for sharing! Awesome tutorial, I always enjoy reading these blogs. Is there a way to add the background rectangle when typing on a path so that it follows the path? Thanks! that was awesome/ one of my favorite tut sites! thanks man!! Very nice tutorial… really appreciate it! Thank you for the tutorial. it’s great. If you don’t mind, whats the Font you used for “illustrator tutorials”? Awesome text effect. I’m surely gonna try out this on few of my upcoming projects. Love the background texture too. Thank you so much for the tut. Awesome! I know I definitely underuse these techniques, the reusable benefit is certainly worth me looking into these properly. Not only did I learn alot about the Appearance Panel but now I have added to my Graphic Style library for future work! Thanks for a great tutorial. Awesome tutorial. How did you do the cream colored background of the final image? Did you create it or is it a stock photo? I did it in Illustrator. Check out my reply a couple comments up in response to Arun. Is the diagonal line fill in CS5 by default? All my line patterns seem to be horizontal or vertical. Yeah it is in the default but it is under Pattern > Basic Graphic > Basic Graphics_Textures. Awesome use of styles. Great job, thx. Hi, i have a question, I got stuck on the part where you have to Change the stroke to have the same rectangle and squeeze settings as the previous fill items and set the Blending Mode to Multiply. in step 7, the rectangle and warp squeeze do not appear under the stoke layer. What am i doing wrong? Thanks! 🙂 great tutorial! You just need to recreate each of the Rectangle and Squeeze effects under the stroke item like you did for the fills. I should have that more clear in the tutorial! Just come across this tutorial its great, but I am also stuck on the stroke part. I have added the effects on the strokes layer set to multiply etc and it does not take the stroke away from the text. Could this be an issue with CS4? Nevermind figured it out. Great tutorial. Thanks for this beautiful graphics style! Lovely tut Rype. Retro -typo- pattern very nice effect. Thanks share! Thank you for the tutorial. I really enjoyed it. @Ryan Where can I get the jut-sack/canvas like texture used for the background. For the background I created a rectangle with a light yellow color and applied Effects > Pixelate > Color Halftone and changed all the Channel values to 100. Then in another fill from the Appearance panel, create a radial gradient (first stop white and 0 opacity and the second stop a darker yellow color), then go Effects >Texture > Grain. Thank you Rype for that update. Much appreciated. You’ve added an inner shadow to the text in step 4. How did you do this? The shadow is actually just an effect from setting the original text to Multiply in Step 2. I love how clever this is. I wouldn’t think to do it so smartly. I would have had 10x the objects. So smart. For some reason, the result of this tutorial reminds me of House Industries and their graphic style. It looks great, thanks a lot for sharing. Very Good Illustrator Tutorial ! Very nice effect. Great job. I’ve been looking for this sort of thing! Nice effect. I should use more often those patters. You are right Marius, patterns are part of the designers secret palet. Great tutorial! I’ve been infatuated with retro European signage for the longest!